The Hotel Mexico is situated in the heart of the industrial and tourist city of Vigo, in a privileged location with magnificent views towards the bay, close to the train station and also within walking distance of the shopping and leisure area, as well as the old quarter and the docks. The Hotel was inaugurated in 1974 in a contemporary 12-floor building which comprises 2 parking floors. Later in 1999 all the rooms were renovated so nowadays the Hotel has 104 rooms. In 2008 the Reception area was totally reformed with a perfect conjunction between comfort and functionality in a large and bright lobby, a Bar conceived as a meeting point to relax and enjoy the impressive views of the City and Bay, a public Restaurant to taste a fusion of new and typical gastronomic flavours, daily menus and several options for groups or company meals also. Furthermore, a versatile 450 m² meeting room area that provides a wide range of distributions for diverse activities such as presentations, conferences, conventions, banquets, etc. 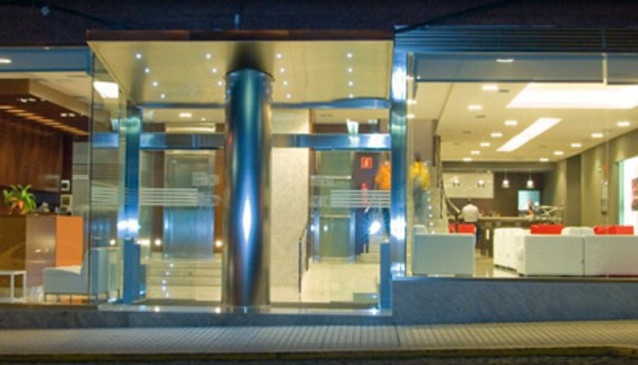 Centrally located, with convenient facilities, updated gastronomy, all-purpose meeting rooms and a professional staff ready to help, all of it gets the right combination to make Hotel Mexico a comfortable and ideal place for tourism and business travellers in Vigo.